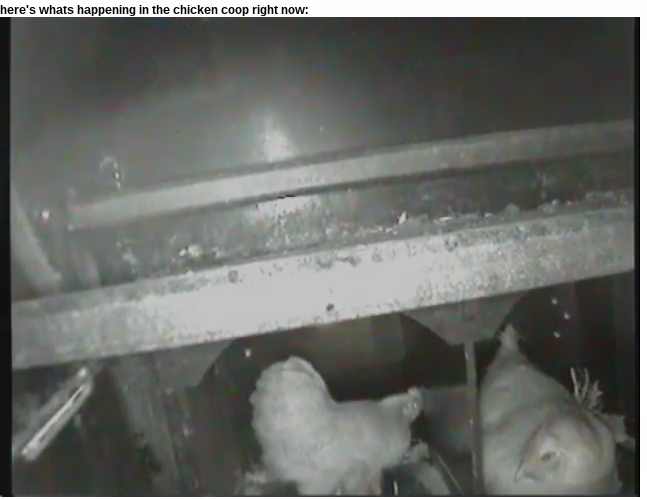 Apparently you should have 1 nest box per 4 laying hens (at least) or else you need to introduce some kind of queueing and ticket system which might not go down too well with the hens. We've 2 big comfy nest boxes in the wagon, and I've never seen both in use at the same time... Until today! Ariel (on the right), and Maude (on the left)... However it's nice to share isn't it?! I love that, so cute! Ha ha thats funny Red.